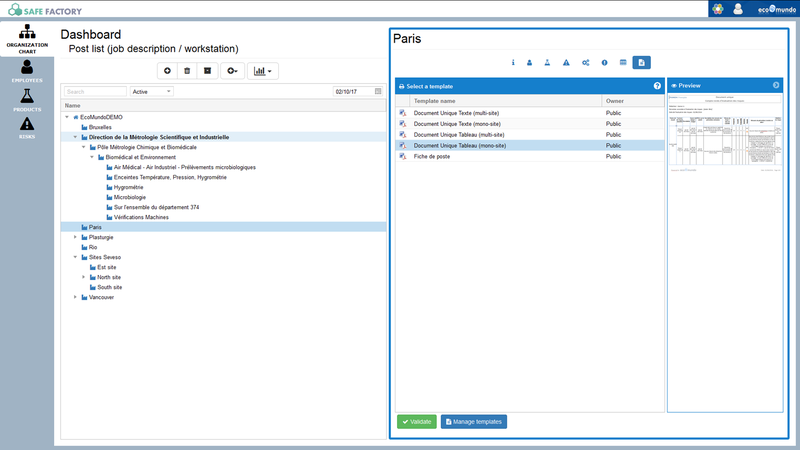 The reference software to manage your occupational hazards. From the risk score, SAFE Factory prioritises HCA according to their necessity to implement actions. From the chemical risk assessment, SAFE factory lists the associated occupational hazards. Simplify your inventory risk thanks to our librairies of risks, associated thresholds, sources of danger, effects descriptions and preventive actions. Automatically assess the exposure of your employees to work-related injuries and illnesses. List the results of your measurments in the tool. SAFE Factory automatically alerts you when a a regulatory threshold has been exceeded and suggests preventive measures to implement. 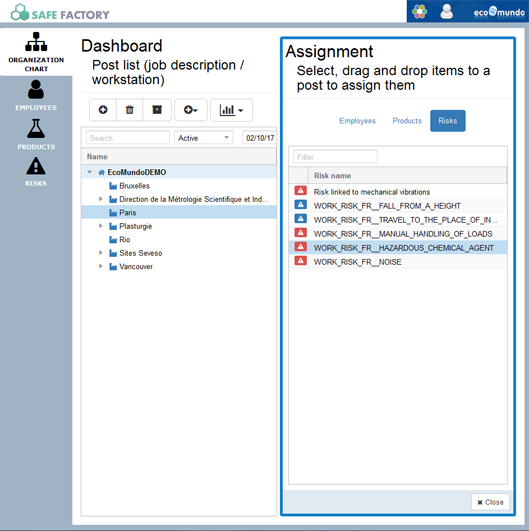 Make an assessment throughout the company of your preventive measures (deadlines, budget, responsible person) using your customizable SAFE factory dashboard. SAFE Factory suggests specific preventive measures in order to identify risks. Check the progress of your action plan by setting up customized monitoring indicators (training, turnover, absenteeism, occupational accidents…). 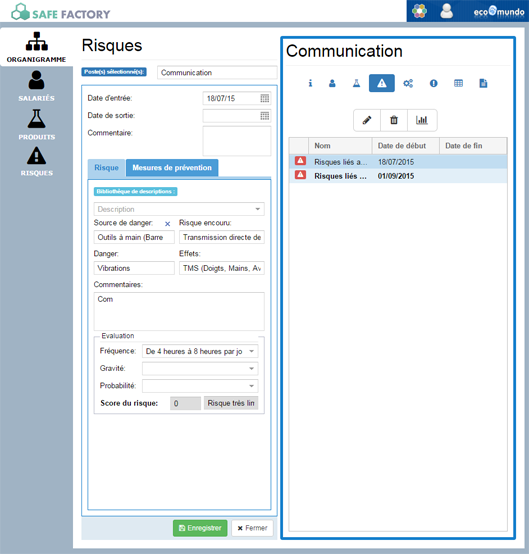 Edit your risk assessment document in one click from data stored in database. In appendix is the percentage of employees exposed to arduousness factors. 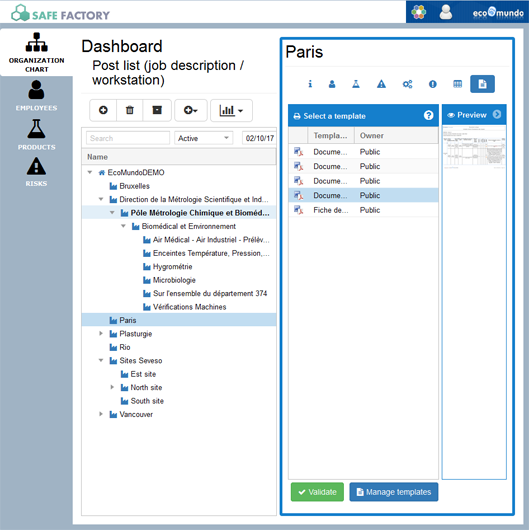 SAFE Factory allows you to edit your sheets for prevention to exposure automatically using data stored in database. 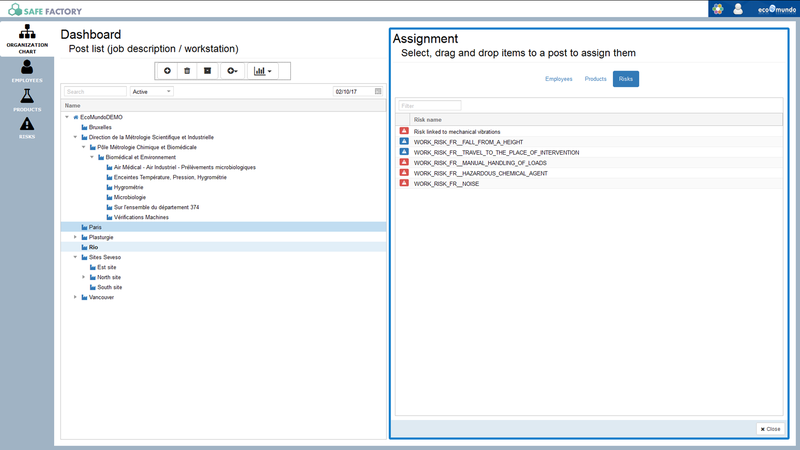 Customize all templates with your colors (several templates of unique risk assessment document and sheets for prevention to exposure), and edit other types of documents (work station sheets, etc). SAFE Factory is suitable for any size of business, from SMEs to the largest groups. 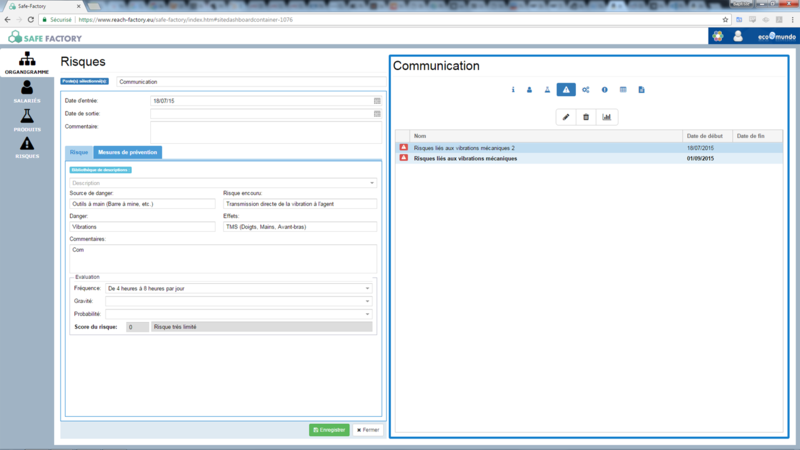 Ecomundo has granted us with a very caring follow-up, available teams, and an easily accessible boss when necessary. Let's mention the extra benefit of never having any tricky surprise when it comes to invoicing! Discover our applications related to SAFE Factory : SDS Factory, MAT Factory and SVHC Factory. EcoMundo helps you to review all your obligations related to occupational hazards. Let's discover how SAFE Factoy works in real life situations. All our articles related to occupational hazards.